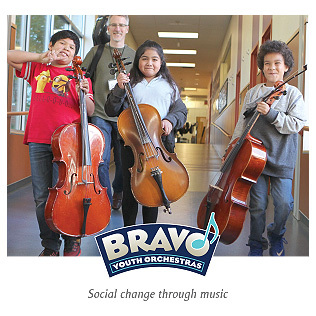 When you support BRAVO, you are investing in a dynamic organization that “brings the best music education to the children who need it most,” according to Maestro Carlos Kalmar of the Oregon Symphony. 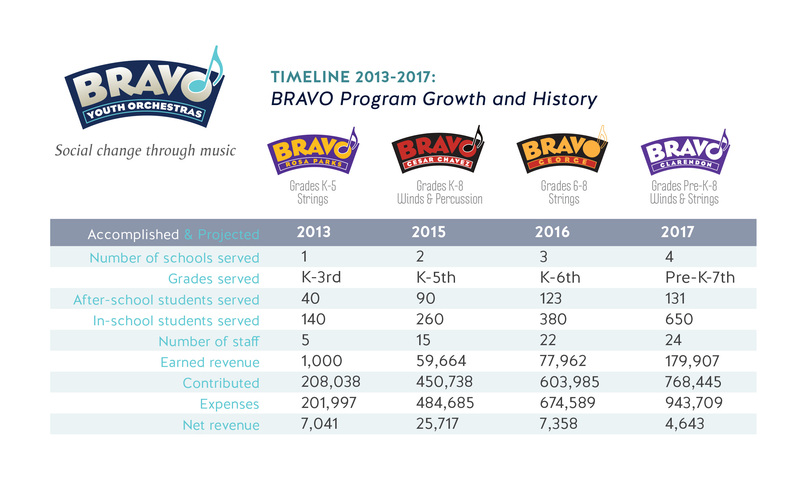 Since its launch in 2013, BRAVO has transformed the community we serve, bringing music to hundreds of children in low-income schools who had no music before BRAVO arrived. 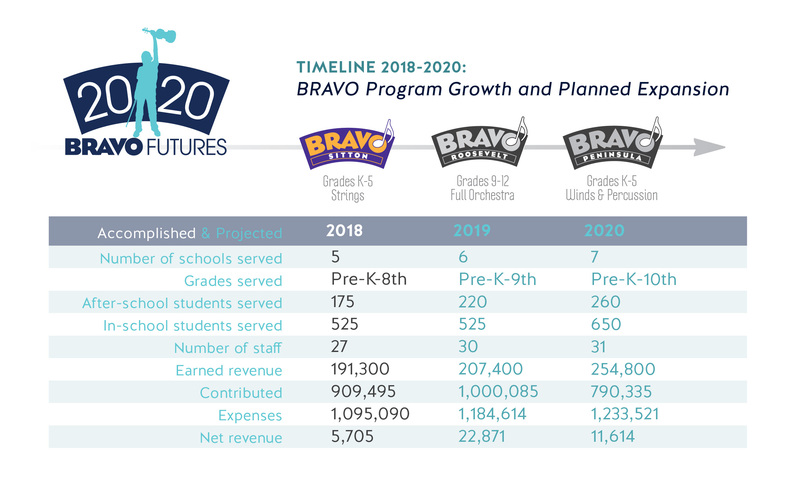 Data from Portland Public Schools shows that BRAVO students have significantly higher attendance, better test scores in reading and math, and fewer behavior referrals compared to their peers in the same schools. BRAVO students performed for the Governor’s inauguration, played alongside the Oregon Symphony under the direction of Maestro Carlos Kalmar and performed onstage at the Arlene Schnitzer Concert Hall with Black Violin and Hypnotic Brass. BRAVO recently received our first national media coverage on NBC Nightly News. Your three-year pledge of support will build a solid foundation for our students’ success and the organization’s growth. 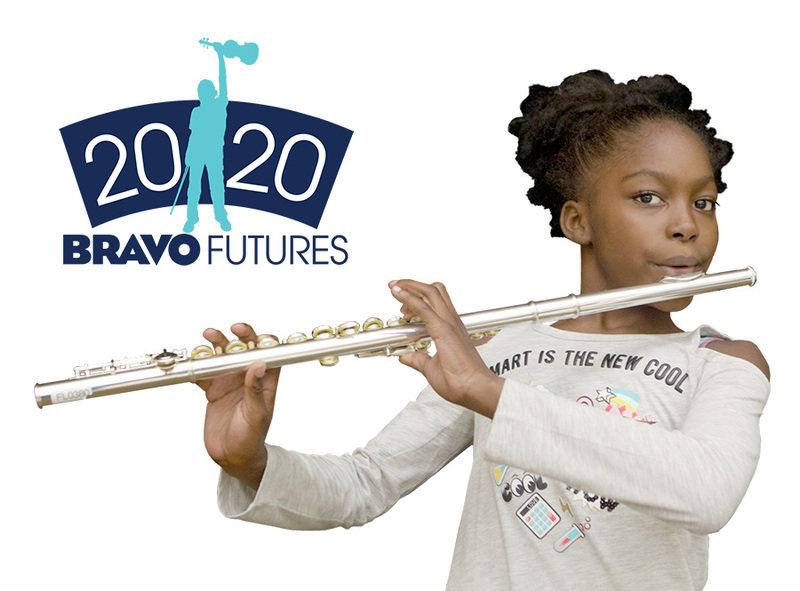 BRAVO Futures 2020 will bring rigorous and dynamic music programs to three new schools, including Roosevelt High School. 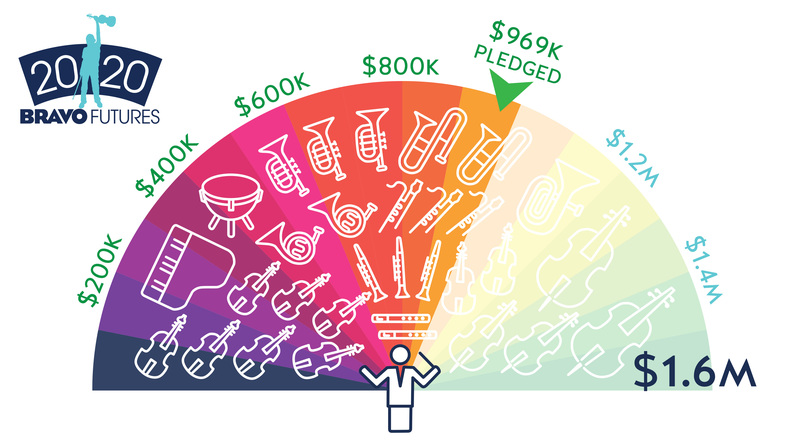 Your gift will allow us to double enrollment in our after-school programs by 2020 and develop our full symphony orchestra. BRAVO is possible only with the generous financial support of hundreds of individual donors just like you. 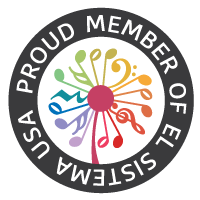 Please demonstrate your belief that the beauty of music should be accessible to all by investing in BRAVO Futures 2020.